Philippine boxing legend Manny Pacquiao said he is "stronger and faster" than ever ahead of his world title defence as he threw a lavish party with thousands of guests and a mass giveaway to mark his 40th birthday. 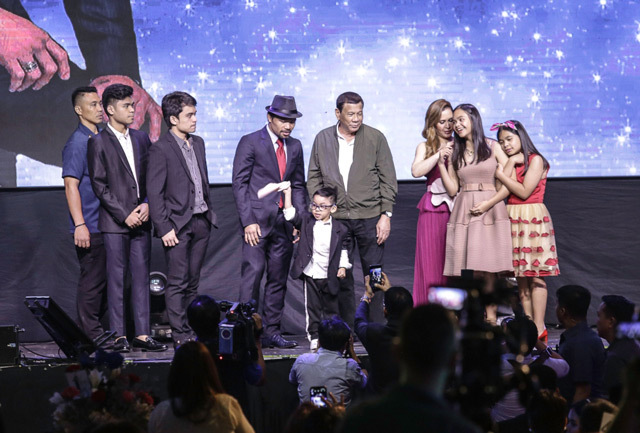 A car, pickup trucks and appliances were raffled off and President Rodrigo Duterte and celebrities were among the well-wishers at the all-night event, held at a sprawling shopping mall in his home city of General Santos. "I feel stronger and faster, and by God's grace I am wiser at 40, feeling 25," Pacquiao said, making clear he's looking forward to facing American Adrien Broner next month. "I believe the best is yet to come. You have not yet seen the best of Manny Pacquiao," he added. The Filipino southpaw, 60-7 with two draws and 39 knockouts in a career that began in 1995, is to stake his World Boxing Association's regular welterweight crown against Broner on January 19 in Las Vegas. Pacquiao, winner of an unprecedented eight world titles in as many weight classes, has continued fighting after reversing a decision to retire in 2016. The rags-to-riches Pacquiao, who quit school and hawked food in the streets and later took up boxing in his teens to support his mother and his younger siblings, is also an elected Philippine senator. "Boxing is my passion and public service is my mission," he said, wearing a dark suit and fedora hat. The Filipino won his last title by stopping Argentina's Lucas Matthysse in July at Kuala Lumpur. Speculation remains high that the Broner bout could be a warm-up for a sequel to 2015's "Fight of the Century", that Pacquiao lost to undefeated Floyd Mayweather on points. A sedan and two pickup trucks as well as dozens of smaller prizes, like refrigerators, were raffled off at the party, which included a section that was open to the general public. Entertainers put on a shadow play recounting the rise of the "people's champ" from abject poverty to becoming a multi-millionaire who doled out free housing to the poor and visited sick people in hospital. Rock bands and gospel singers provided the music, children danced, and Pacquiao's wife, Jinky, serenaded him with a ballad. "We are so thankful. He never forgets to help us, his poor constituents," said Sarah Bagas, a middle-aged street sweeper who lined up for her raffle ticket and food stub in mid-morning.